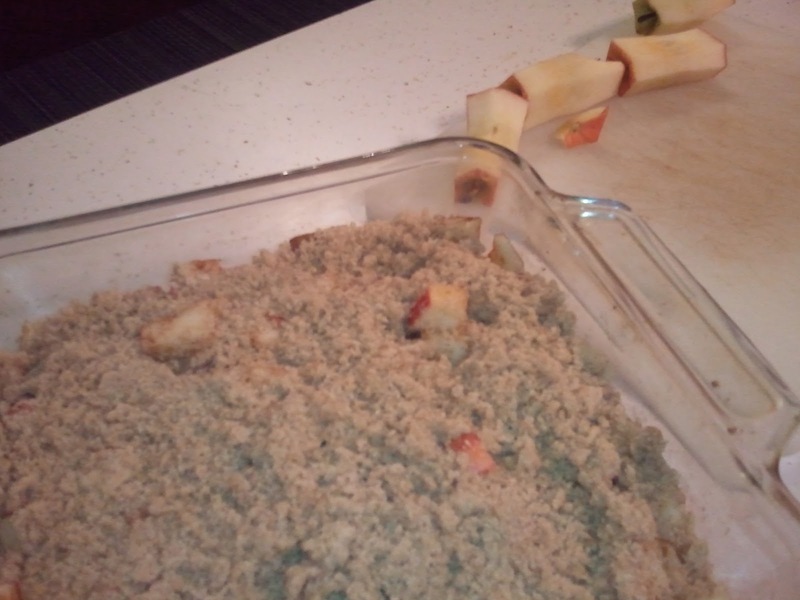 I had a lot of apples and wanted to make an apple cobbler. So of course I went straight to AllRecipes.com, but I wasn't happy with any of the recipes I found. The concept is simple enough, so I figured I could wing it. 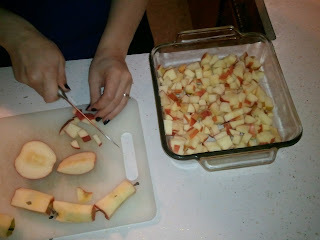 Cut up some apples into tiny pieces so they'll cook quickly in one step. In case you don't know, I refuse to peel apples or potatoes. The skins don't bother me, so I will not go through the hassle. Sprinkle some cinnamon and water onto the apples and mix it up. In a bowl, mix together softened butter, brown sugar and flour. I used wheat flour for a little extra heartiness this time. 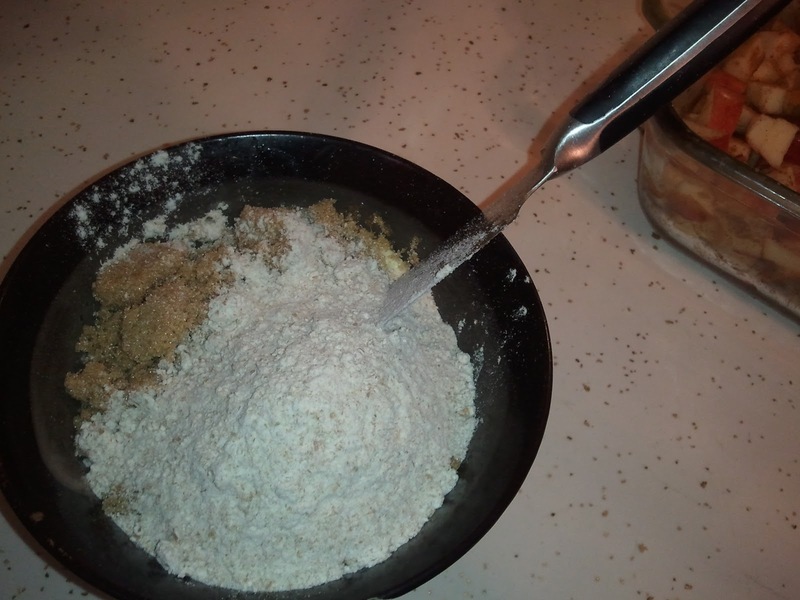 The second time I made this, I was out of brown sugar and substituted white sugar and molasses. Also, I never think ahead to soften butter, so I just microwave it a couple seconds. Crumble over the top. This goes in the oven at 350ish until it looks good and done. I'd say I baked it about half an hour. 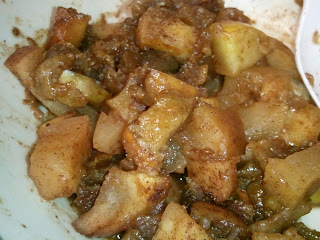 The non-recipe would work well with pears if you had them as well. Ditch the recipe for your dessert sometime! 1. 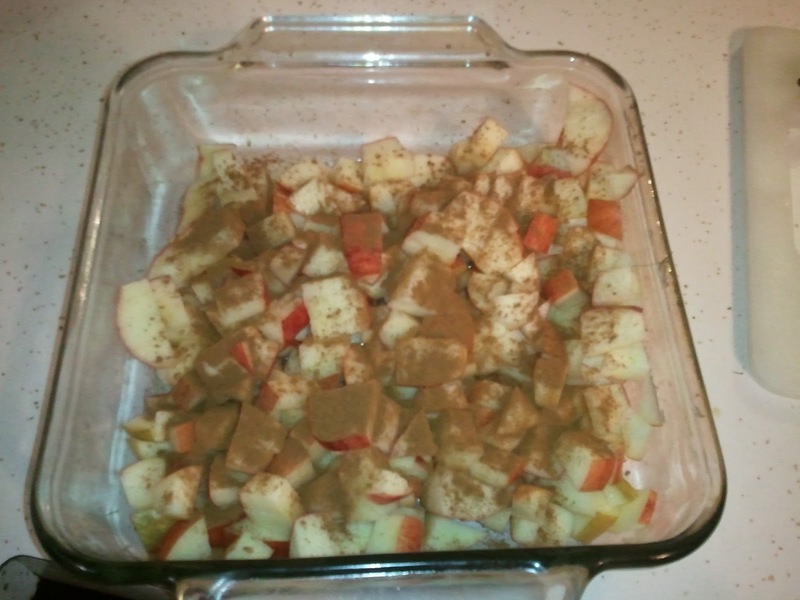 Put diced apples in an ungreased pan with a little water and a lot of cinnamon. 2. Create a crumble topping with softened butter, brown sugar and flour. Sprinkle over top. 3. Bake at 350-400 degrees until browned.